anything you should be aware of. your table fees is your way of telling the organizer you are 100% committed to their event and the spot is filled. When you haven’t paid, organizers have the added work of following up with you and aren’t able to properly account for who will be there. Of course the organizers should have their own plans for marketing the event but the results are always better when everyone does their part to help out. You can ask if they’re having any flyers printed and give them to friends, family and work colleagues and you’ll also want to mention the event on your social media pages. And if you have the time, send out a few short tweets during the show to remind people to stop by. It’s always hard to determine how many items you need to make for each show but it’s better to over estimate than under estimate. If you sell out half way through the show, not only are you missing out on sales but empty tables aren’t very appealing for the customers. anything. Helping set up tables before the show is a great way to meet fellow vendors, make connections and scope out the space. For a craft show, this means arriving at least an hour before the show starts. Give yourself enough time to get everything set up at your booth before the show starts. You’ll often have some time after the doors open to play around with your set up but no organizer wants you to have bins and tissue paper littering the front of your table while there are customers walking around. 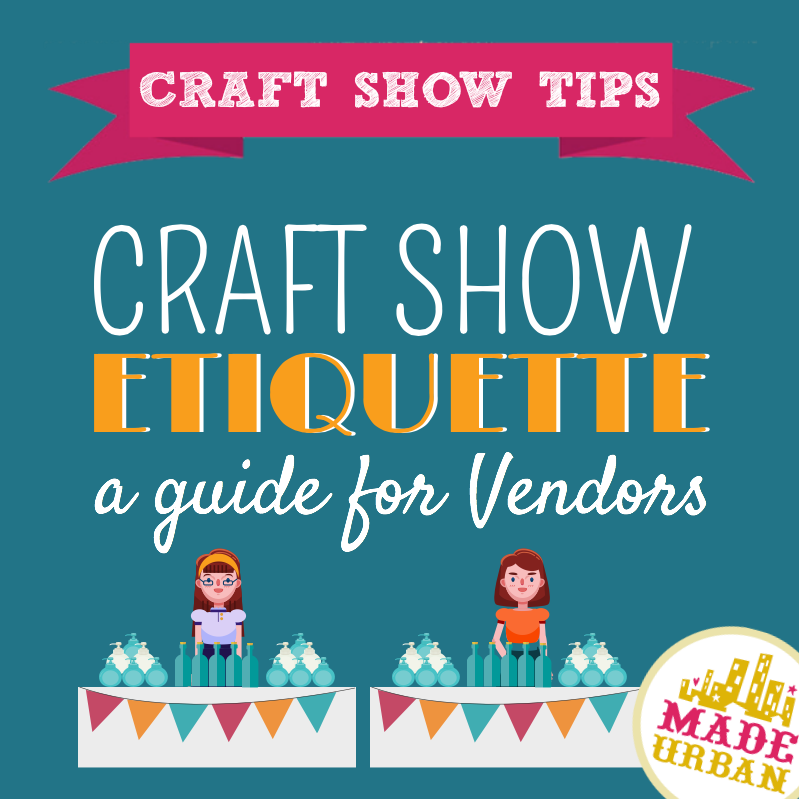 Some craft shows will be too big or busy to meet everyone around you but if you follow number 5, you should have a few minutes after setting up and before the doors open to walk over and say hi to some of the vendors around you. It’s always nice to chat to your direct neighbors on either side of you and offer to watch their table if they need to run to the washroom (hopefully they’ll do the same for you). Some shows may be slower than others so you may like to bring a book to read, a friend to chat to or a craft to work on. But be sure that you always take the time to look up and greet each customer. A craft show is like a retail store and you’re creating an experience for the customer. We all know what it feels like to walk into a store and have the staff ignore you. Be sure you’re doing your part to create a friendly atmosphere for the show. Unless you’ve communicated to the organizer beforehand that you may have to leave early due to certain circumstances, you should plan to be there until they close the doors. It’s tempting to start packing up before the end of a long show but it doesn’t leave a good impression to shoppers when there are empty tables or if shoppers can’t get to your table because you’re packing up your boxes. The organizers have to hang around until everyone leaves and then make sure the space is left in a clean condition to avoid any charges from the people who rent the space. Be sure to do your part to clean your area and make sure you’re not leaving any garbage or debris on the floor. If they’re stacking tables and chairs, offer to fold yours up and add them to the stack. They’ve just seen months of hard work come to fruition. They’re likely exhausted but excited to have the day here. Thank them for asking you to be a part of the show and congratulate them on a good job. If you have any feedback for them you may want to send an email a few days after the show, once the dust has settled for them. Hello. Thank you for posting help for first-time vendors/crafters. I organize annual show for a school. I am looking for a creative way to make check-in easy. Waiting in line for check-in is now good. But we have help to get folks to their space, depending on volunteers. Sometimes they are all busy. Can you give me a few tips? I would love to use Eventbrite. But that would mean I share vendors email address, and the school won’t let me use their collection services. Looking to visually boost check-in. Layout was not large enough last time. Thinking of a pocket system to include business cards. I will collect cards and visually see this at home and one site. A lot of work to get started; making it all with reused items. Hi Nancy, glad you liked the article! 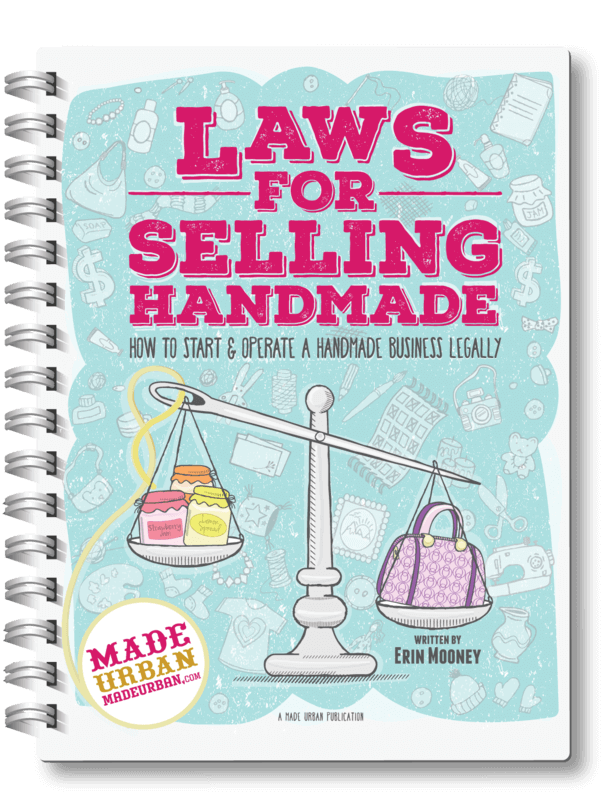 Were you looking for tips on how to help vendors find their tables at the beginning of a craft sale? Or looking for ways to see online who is attending a craft show? Anything you can tell us that will help make money and run smoothly. You forgot a few things. Stay in your booth. Granted it is understandable that bio-breaks do happen, otherwise stay put, once the show starts. Keep your mouth shut and don’t steal customers from fellow vendors. Just don’t do it. That is a one way ticket to either never be invited back, application returned or asked to leave a venue. What is customer sniping? They are; From outright walking up and saying “Come to my booth, let me show you what I have.” Taking the potential sale away from your table. Hawking your customer from your booth / table from theirs. When it happens, you have the basic options, First and foremost, immediately talk with the Show’s manager/organizer. Let them know what vendor it is. IF the show wants to sustain a good reputation. they will handle it. Option 2 is tell this sniper outright that you don’t appreciate their actions and justice will happen either by management or by you. I am the chairman for a 100 vendor show held the Saturday after Thanksgiving. My husband does check in. I have packets ready with tax forms, etc and we simply lay them out on the check in table in alphabetical order and the vendors pick them up and they are on their way. Our packets are actually brown paper bags with their name and booth number on it and everything they need inside. We also have a chart for booth location but most are veteran vendors who know their spot. Nothing to sign in on, and I know who isn’t there by which packets are left. I have tried numerous other ways, but find this the best way. We hand out extra lunch forms if needed and a complimentary Danish pastry and they are on their way!